The word 'prankster,' doesn't begin to describe you. You make prank wars on Youtube look like a game for babies; somebody, call the 'wahbulance!' You're funny, cunning, and downright eccentric. There's a whole variety of funny tactics in your arsenal that make people smile—practical jokes, sarcasm, charm, wit, and even knock-knock jokes people haven't heard a million times before. You can entertain an entire cruise ship of people, no problem. You've got the humor to reach everyone from crawling toddlers to the slow-moving elderly—everyone enjoys it! How do you do it, kid? You're such a card! 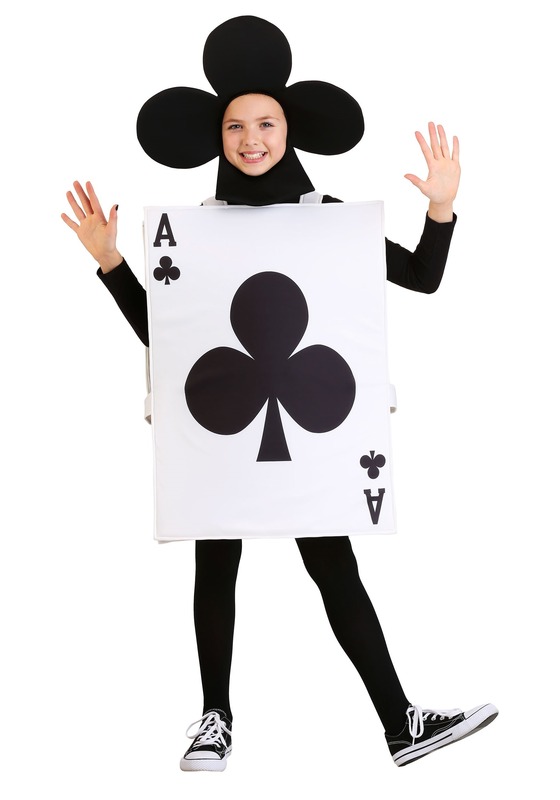 If you're looking for a one-of-a-kind costume to showcase a side of your personality (in a punny way, of course) then the Ace of Clubs costume for kids is exactly what you need. 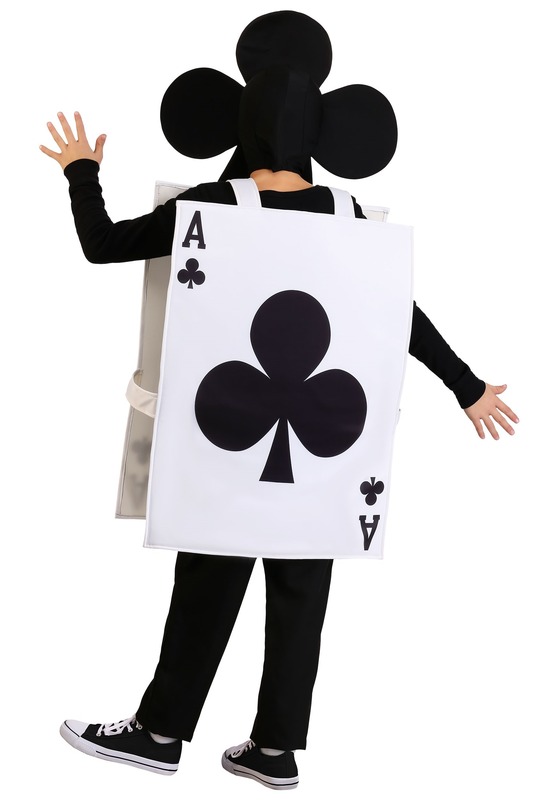 It's an easy costume that will make you a part of a winning hand. Put it on and let your inner-entertainer shine through. P.S. We can't wait until you have your own comedy show in Vegas! 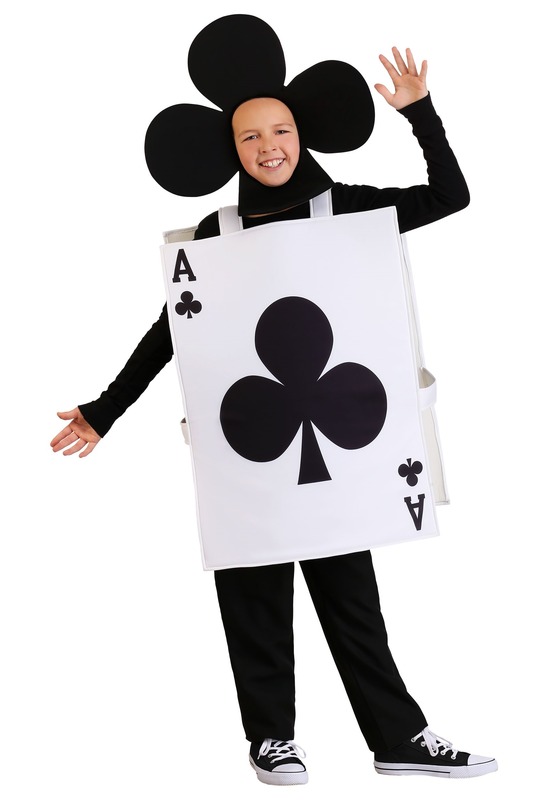 If you're looking for a cute and unique costume that's also simple to wear, look no further than the Ace of Clubs Kids Costume. A Made by Us costume, this disguise is made from high-quality materials so you can wear it more than once. The ace of clubs square-shaped tunic is worn over the shoulders and features the same design on the front and the back. The oversized headpiece is stretchy so faces can poke through. It's in the shape of a club to perfectly match the tunic. Since you're funny and an overall delight to be around, this costume lends itself to create an amazing group costume. Assemble the perfect poker hand with help from our other Made by Us card costumes!